There are different ways to do cardio workouts. Each has its own advantages and disadvantages. Put simply, it often boils down to what you want as end goal. The difference between the two main types of cardio workouts are explained below. This is the traditional way of doing cardio. You do a repetitive action for a prolonged period, over a steady pace. One example would be running at a steady speed for 30 to 60 minutes. The advantage here is that the runner is running at a comfortable pace, meaning that the same workout can be done every week for years. The disadvantage is that it is not as effective as it can be, especially in the long run. Doing something at a steady pace means your muscles will adapt so as to burn less calories. Interval training is a more effective approach to cardio. It requires the cardio exercise to be done with more vigour, at the expense of rest times in between. 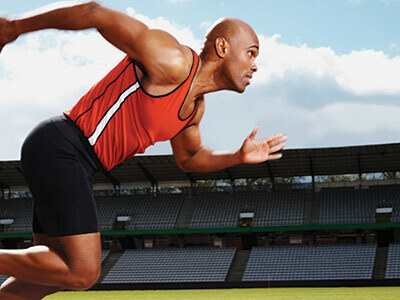 One example would be to sprint for 30 seconds and rest for 3 minutes, for a total time span of 30 to 60 minutes. The advantage here is that the workout is more efficient. By fluctuating the workouts, your muscles have a hard time adapting and end up burning calories every time the workout is repeated. The disadvantage here is the recovery time. Interval training is much more straining, especially for the joints. This makes interval training quite tricky to keep up with.